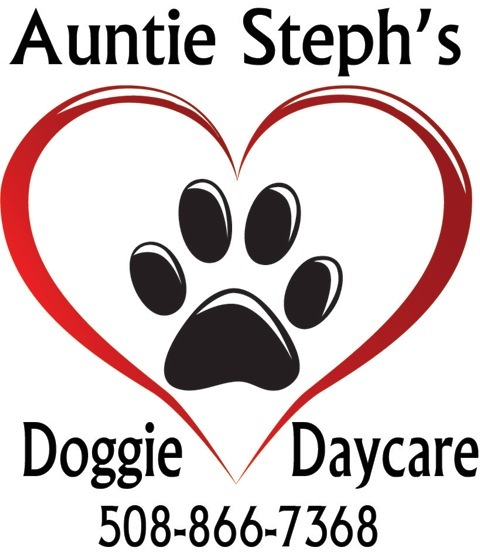 Auntie Steph's Doggie Daycare is my idea of the perfect place to bring your dog. I have worked with animals for 18 years. I had the unique job of keeping animals happy and calm in a very stressful environment. I worked in an animal hospital and ran one of the biggest boarding facilities on the south shore. My knowledge is in animal behavior, animal care, and dog training. I have a genuine love for all things living. Some daycares have scheduled times you can come pick up your dog. But I believe that you can get your dog whenever you want. I have a text to pick up and a text to drop off. I will have you text me when you are on your way in the morning and at pick up. This way I can run your dog out to you so the other dogs don't get all excited. In the morning when you text me. I will be waiting for you. I will take your dog out of the car for you so you don't have to get out and you can be on your way. Making your day a little easier. This is also another way to diminish stress by not letting the dogs get overly excited. We are located in the beautiful town of Carver Ma. We are near Route 44, Route 3 and Route 58. Convenient for any commute. We look forward to hearing from you soon! Call and make an appointment today! Space is limited. We have a 24 hour cancellation policy to give us time to fill your spot. 508-866-7368 or Cell 508-322-0487 text line.